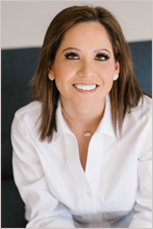 Crystal Olguín Duffy is a keynote speaker, author, and teacher. She is passionate about helping individuals struggling through adversity and inspiring them to survive and thrive. She lives in Houston with her husband Ed, and their three little girls; Abby (5), Katie and Lauren (3) and yappy little Yorkie pup, Charlie. Her essays on parenting have appeared in Scary Mommy, Mamapedia and Twiniversity. Her Memoir, Twin to Twin, is her first book and was written during the span of 1,000 naps. She hopes that her story inspires men and women to have the strength and courage to stay positive and move forward through any type of adversity. After two miscarriages, Crystal was ecstatic to hear that she was having twins until.....the doctors told her they may not survive and their condition was extremely rare. As you listen to her story, you will be holding your breath wondering if she or the babies will make it through this ordeal. Every moment is an eternity as Crystal is waiting for her unborn children to arrive and questioning what else could possibly go wrong. shocking diagnosis during her second trimester that changes the course of events in her pregnancy. With unexpected twists and turns, Twin to Twin is an inspiring story that details a harrowing and heartwarming journey of pregnancy and motherhood. 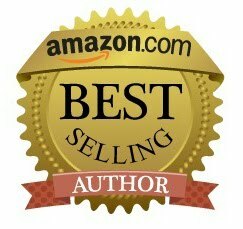 It’s a story of resilience, faith, hope and love and about moving forward through any type of adversity. One minute Crystal was sitting at a candlelight dinner in Paris with her husband. The next she was back home in Houston, sitting in her Ob-Gyn’s office concerned that she was having a second miscarriage. That wasn’t the news he delivered. Instead, she found out she was pregnant with twins! Since Crystal and her husband already had a two-year-old daughter, Abigail, she couldn’t imagine why mothering twins would be all that different. But, after a family vacation to SeaWorld, she finds out that her twins have a life-threatening condition called Twin-to-Twin Transfusion Syndrome. That means that Baby B is transfusing blood (disproportionately) to Baby A. She soon finds out as she embarks on an emotional rollercoaster—from late night emergency ultrasounds to hospital baby blessings, sprinkled with comic relief from nurses and hospital staff. 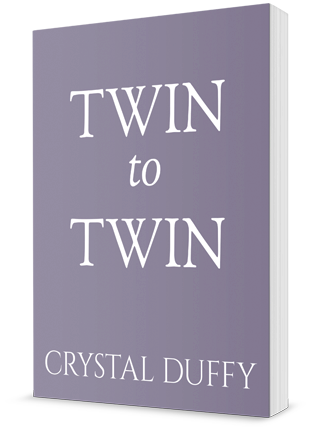 Twin-to-Twin is a raw and inspirational story filled with tenderness, vulnerability, and humor. It chronicles the wildest, most terrifying and challenging year of Crystal’s life, which is also the most beautiful and eye-opening. Her hope is that it will bring strength to other women dealing with their own personal trials and tragedies, so they can also triumph. Could You Forgive the Man Who Murdered Your Daughter? QUESTIONS? WANT TO BE ON MY SHOW? Can You Overcome Your Biggest Fear?